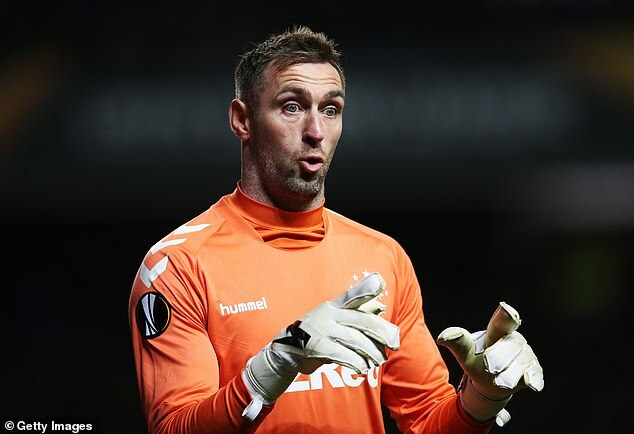 Rangers renewed their call for the Scottish FA’s ‘flawed’ disciplinary system to be urgently overhauled after Allan McGregor lost his appeal against a two-match ban. The Ibrox goalkeeper was hit with a retrospective notice of complaint after catching Aberdeen’s Lewis Ferguson on the shin as he gathered the ball during last week’s 4-2 win for Steven Gerrard’s side at Pittodrie. The 36-year-old was offered a two-match ban and, after his appeal failed, he will now miss Saturday’s home league clash with St Johnstone and next Wednesday’s Scottish Cup replay with Kilmarnock at Ibrox. In November, Rangers called for a ‘fundamental review’ into the SFA disciplinary process and expressed an ‘underlying concern’ with the performances of Willie Collum after the referee issued a controversial red card to winger Daniel Candeias against St Mirren. And, after a series of baffling recent decisions by the SFA, the club insisted the issues with the disciplinary process must be quickly addressed. An Ibrox spokesperson said: ‘Rangers has no option other than to accept this decision. ‘However, it is abundantly clear questions about the current disciplinary system, which we believe is flawed, must be posed. 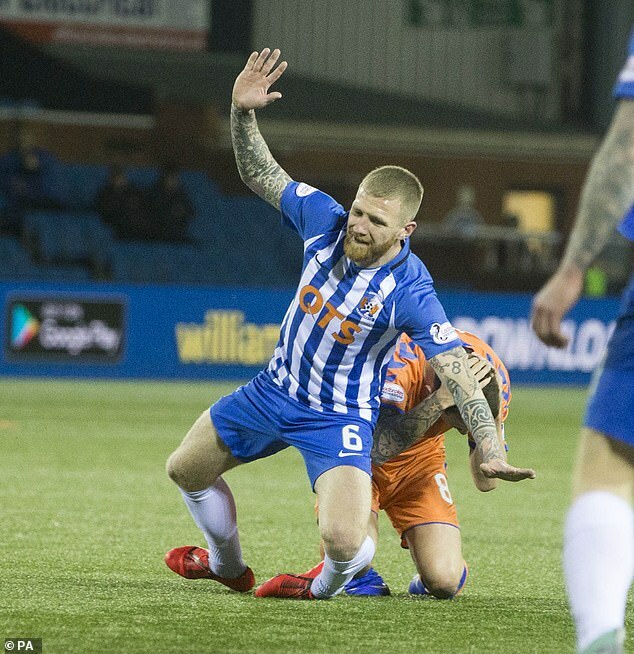 McGregor’s failed appeal came 24 hours after Kilmarnock’s Alan Power escaped an SFA ban for a head-high challenge on Ryan Jack of Rangers. Power was booked by referee Alan Muir for a reckless challenge on the Ibrox midfielder during a goalless Scottish Cup tie at Rugby Park on Saturday evening. Speaking following Saturday’s cup tie, Rangers boss Steven Gerrard said of the Power challenge: ‘I’ll be interested to see if there is a citing.’ But SFA compliance officer Clare Whyte reviewed the incident and decided no action was required, leaving the Irishman free to face Celtic in the Premiership on Sunday. Sutton said on Twitter: ‘The correct decision on McGregor and fortunate for him it’s his first ban after some of his other antics this season… however Rangers management and fans will look at Power and McGinn cases and wonder like the rest of us how can one can be banned and the others not…SFA ‘ Barry Ferguson has revealed McGregor ‘looked him in the eye’ and insisted he did not mean to hurt his nephew Lewis. The former Rangers captain insisted the challenge was only worth a yellow card and speaking to PLZ Soccer, said: ‘I bumped into Allan on Sunday and I asked him. I looked in his eyes and asked: ‘Did you mean it?’ ‘And his words were: ‘Look Baz, I’m coming out to protect myself’. ‘Previous goalkeepers I’ve worked with would always come out and try and protect themselves. And I honestly believe that. ‘Was it high? Of course it was high. Could it have been worse than what it was? It could have been. ‘But thankfully Lewis never got hurt. It’s a booking for me. ‘I’m sure Rangers will be disappointed with him getting the two games. ‘But I know Allan and I know what type of guy he is. Do I think he’s gone out to hurt somebody? No I don’t.’ There was a further contentious decision from the SFA’s disciplinary system this week when St Mirren’s Paul McGinn escaped punishment for what looked a dangerous elbow on Dundee United’s Cammy Smith. 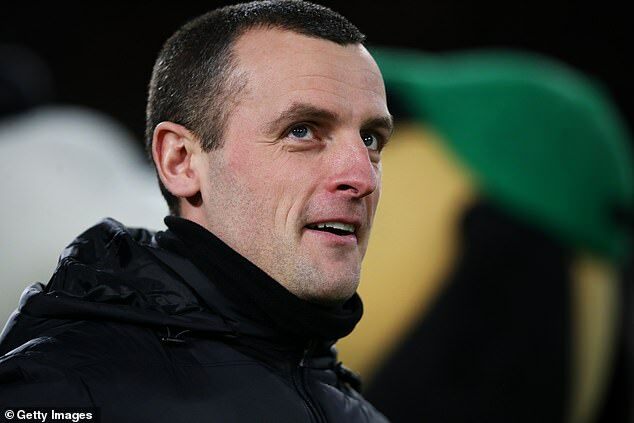 McGinn’s own manager, Oran Kearney, admitted he would have had no complains if the defender’s caution was upgraded to a red card, conceding the incident: ‘did not look good.’ United coach Neil Alexander insisted Smith was fortunate to escape serious injury following McGinn’s ‘horrendous challenge’. And he said: ‘It looked a naughty one to me straight away. Our reaction was – that’s horrendous and there could have been serious damage to the boy. Hibernian’s Darnell Johnson, meanwhile, saw his appeal against a suspension for a challenge on Celtic’s Emilio Izaguirre thrown out. 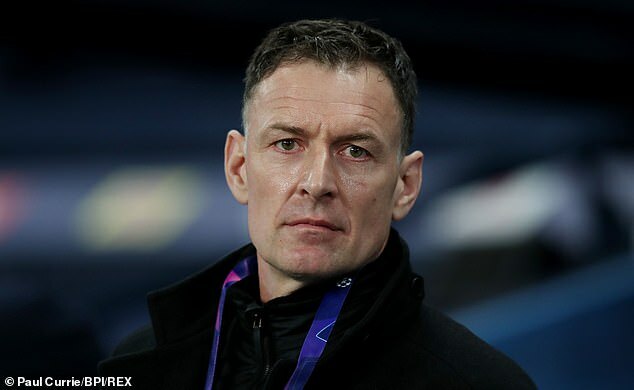 Johnson had initially been cautioned by Craig Thomson for the tackle but was retrospectively handed a two game ban and will miss his side’s next two fixtures against Hamilton and Dundee.